The 7.5 inch blade of the Kershaw Pro Grade Narrow Fillet knife model 1287 is ideal for cutting medium to large fillets. The 420J2 steel blade is flexible enough to get a good cut without losing control of the blade. The handle is polypropylene, which adds to the overall light weight design of the knife, and helps reduce hand fatigue. 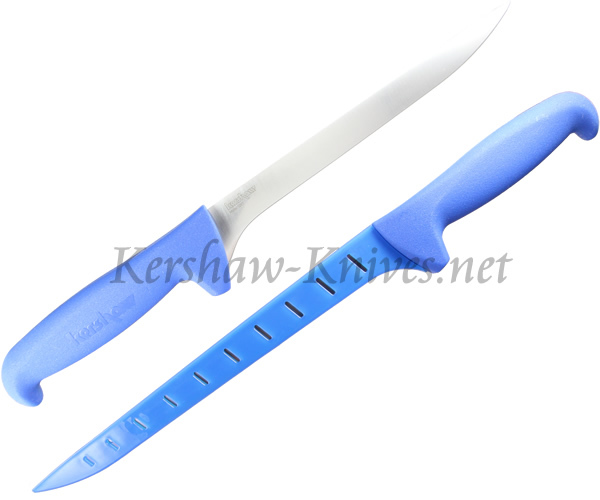 A blade protector is included with the purchase of the Kershaw Pro Grade Narrow Fillet 1287.